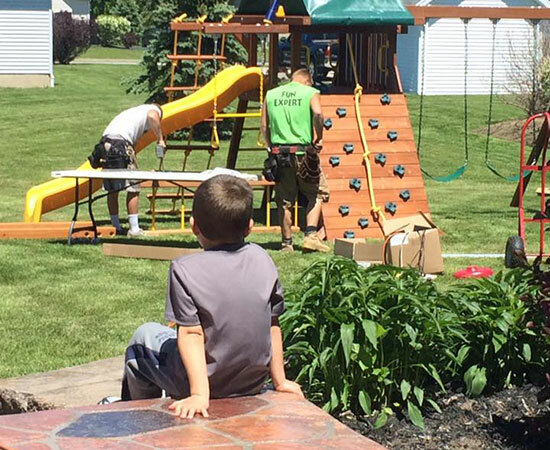 Installing your new playset can be an overwhelming process. Have no fear! Rainbow has over 200 locally owned showrooms with professional installers ready to help. 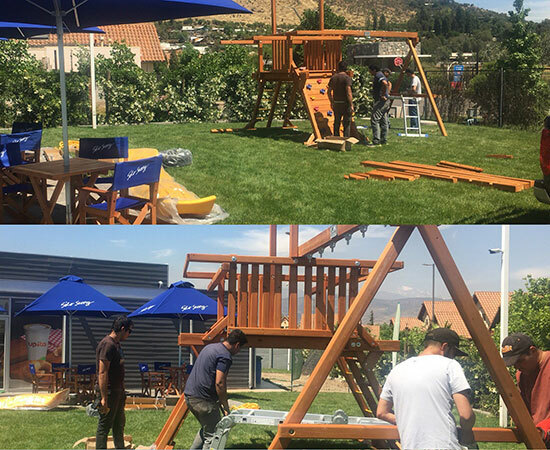 Our installers are specially trained and waiting to build your child’s dream Rainbow Play System. Residential yards come in all shapes, sizes and soils. One playset configuration is not going to work in every backyard. Rainbow Play Systems offers a huge selection of swing set options, including solutions for hard-to-fit, uneven backyards. 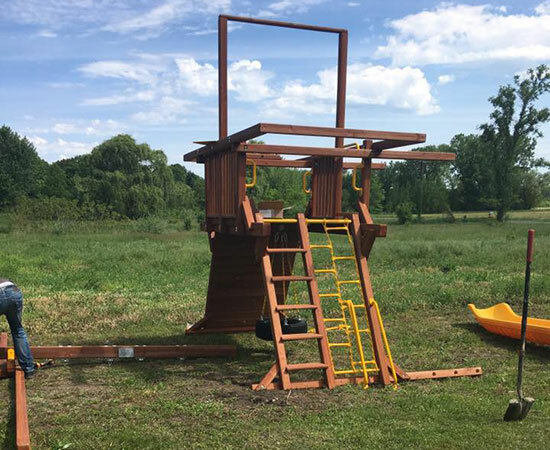 Rainbow has developed an exclusive line of swing set components such as extended swing set ladders and A-frame swing set legs to make sure you have a safe and sturdy swing set structure to fit any unlevel play area.